Katya Arnold was born in Moscow and became an artist at age twelve. She has written and illustrated many books for children, including Baba Yaga: A Russian Folktale and Me Too! : Two Small Stories About Small Animals. She has also written two nonfiction books, Let's Find It! : My First Nature Guide and Katya's Book of Mushrooms, drawing on her passion for the natural world. When she is not writing and illustrating, Ms. Arnold teaches art to children at Saint Ann's School in Brooklyn and to elephants in Thailand through the Asian Elephant Art and Conservation Project, an organization founded by her husband, the artist Alex Melamid. She lives in New York City with her family. 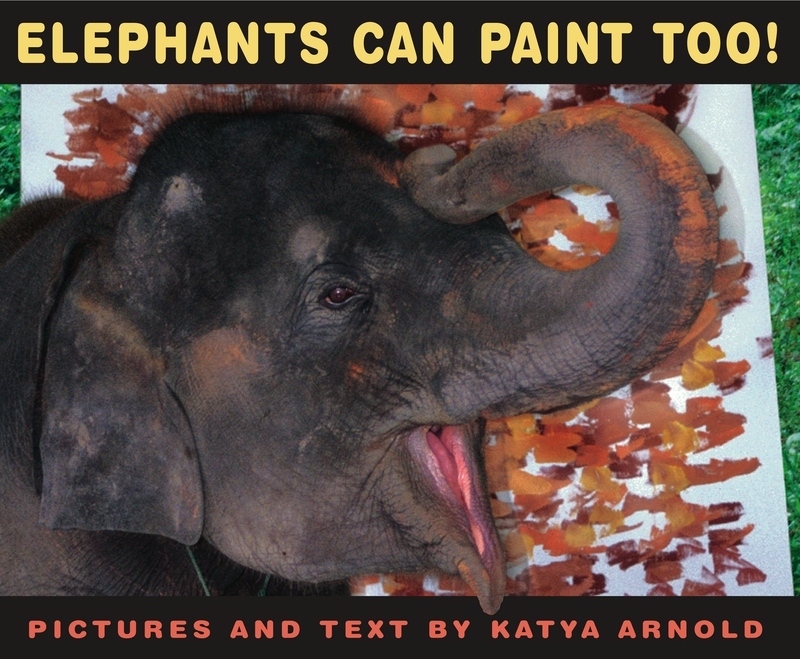 Book Cover Image (jpg): Elephants Can Paint Too!